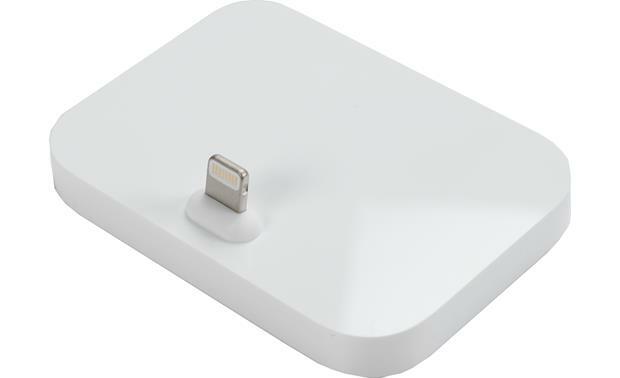 The Apple Lightning dock isn't just a convenient way to charge your iPhone® or iPod touch®. 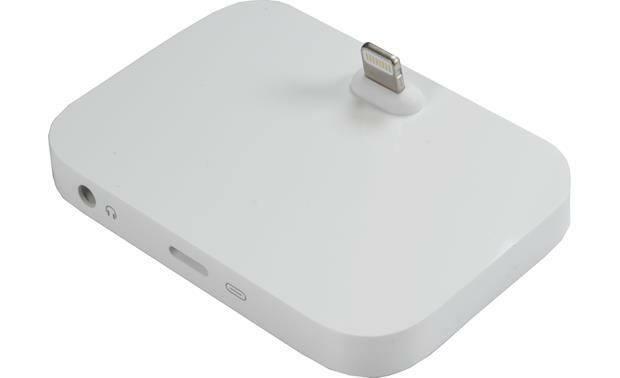 The Apple Lightning dock isn't just a convenient way to charge your iPhone® or iPod touch®. It can also help you get a little bit more out of your device. The dock has a built-in stereo headphone minijack connector, perfect for charging and listening at the same time with your iPhone 7. Use your iPhone's USB recharging cable to connect the dock to your laptop. This lets you sync your iPhone while it's recharging. Or use the AC adapter that came with your phone to plug the cable into a wall outlet for simple recharging. Apple Device Compatibility: The iPhone Lightning Dock is supported by the following iPhone & iPod touch devices. Note: You can unlock your iPhone/iPod touch or use Touch ID without having to remove it from the dock. Lightning Connectors: The iPhone Lightning Dock features a male Lightning connector which your compatible iPhone or iPod touch is seated on. It also features a female Lightning port to connect a Lightning-to-USB cable for charging and syncing with compatible Apple certified devices. 3.5mm Audio Output: The iPhone Lightning Dock features a 3.5mm audio output port to connect a set of headphones with an inline remote control or connect to a pair of powered speakers that feature an Aux input. Upright Position: The iPhone Lightning Dock positions your compatible Apple iPhone or iPod touch in an upright (vertical) position - portrait mode. Power Requirements: The iPhone Lightning Dock must must be connected to your iPhone/iPod touch device's Lightning-to-USB cable and AC power adapter. Or, it can be plugged into a free USB-A port on your computer or laptop via your iPhone or iPod touch's Lightning-to-USB cable. Can also be used with a 3rd party USB/AC power adapter. Searches related to the Apple® Lightning® dock With built-in headphone jack.